Homemade lip balm is so awesome. And so ridiculously easy to make! It’s a wonder how large companies have managed to screw it up so incredibly!? Petroleum jelly is an ingredient in many popular chapsticks/lip balms, along with petrolatum and mineral oil. None of which are good for the skin, and in fact all three are by products of the oil industry. These cheap, non-renewable, far-from-green-ingredients give a false sense of hydration, forming a seal over the skin and disrupting the body’s natural skin sloughing cycle; and potentially damaging collagen and elastin. Your lips do not have sebaceous glands, which are responsible for keeping the skin moisturized. That is why lips are so susceptible to being chapped. Coupled with having no melanin; thus no sun protection, they are left vulnerable to the elements. Tight, cracked, dry and uncomfortable lips practically beg for lip balm. But, before you reach for the nearest tube, be sure to check your ingredients. Most commercially processed, chemical lip balms will make your lips worse, and you won’t be able to stop the slathering. Crazy chapstick-applier, every 5-minutes-can’t get-enough type of gal who had more tubes of chapstick than pairs of socks. And I still somewhat resemble that gal, in that I deeply appreciate a properly moistened and supple pucker, but; I will go without if my choices are nothing; or conventional chapstick. Once I quit the chemical-induced lip assault, I found that my lips healed themselves, and were much better off. Have I been making my own lip-happiness for a decade? Heck no. It was only a few years ago that I made my first lip balm. I will share with you though, the very same recipe that, in fact, was the catalyst of my kitchen cosmetics obsession, and part of the fuel for the fire that drives this blog. In a small double boiler; (I use a glass mason jar placed atop of a washcloth in a pan of water), slowly melt beeswax, infused oils, and coconut oil. Remove from heat and let cool slightly. Add essential oils, (if using) and almond extract. Pour into chapstick tubes, lip balm tins, small glass jars, re-used containers; whatever you’d like. Allow to cool completely before using. I buy tins for lip balms, salves, ointments, etc. here. I get my chapstick tubes here. Mountain Rose Herbs has over 11 farm operations, 6 wild harvesting operators, and acts as a direct liaison and processor with hundreds of farmers and growers all across the globe. We are confident not only in the quality of material you may order but the ethics involved with their preparation and handling. If you feel beguiled and often frustrated with the inferior quality of “Mass Market” herbs that have been on market shelves and within stores inventories for months and sometimes years, then you can count on Mountain Rose Herbs to deliver a product that is unsurpassed in quality and freshness. Sounds great to me! I find dried calendula flowers here and dried lavender flowers here. awesome! i am going to try this- also sharing soon. thank you! trying lavender! hope it goes well. sounds great. Okay, I made this recipe, and it is WONDERFUL! 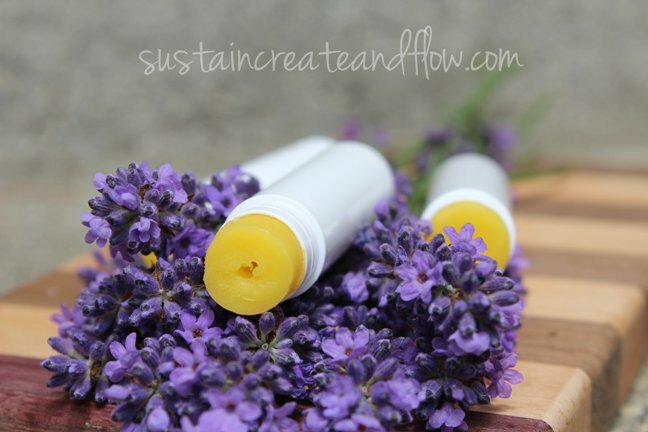 However, my husband doesn’t think that lip balm is working unless he can “feel the burn” so this started my quest at achieving a lip balm using this recipe that has a “burn” that is not too strong, but that is strong enough to feel. So, after 3 attempts, and 70 tubes of lip balm, I have achieved my goal, and wanted to share it. 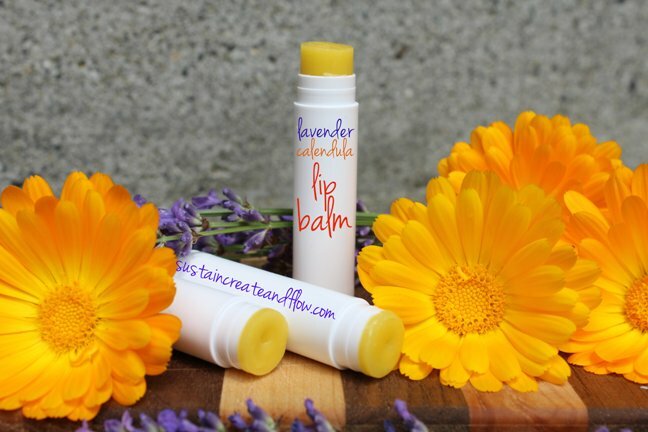 Here are the modifications to make peppermint lip balm: Keep the beeswax, coconut oil, and vitamin e the same. Instead of lavender and calendula infused olive oil, make it with 1.5oz of peppermint infused olive oil. Instead of almond extract, use peppermint extract, and finally, instead of lavender essential oil, I used 30 drops of peppermint essential oil. I know 30 sounds like a lot, but o tried it with 10 the first time, and I can’t even tell it’s peppermint.Then, iI tried 18, and it has a hint of peppermint, so finally I tried 30, and it’s perfect! Way to go, Suzette! I’m so glad you shared your recipe so other peppermint lovers may benefit! It sounds perfect! Hi thank you for the lip balm recipe! Where can I purchase a digital kitchen scale?